STYLE: When You Have Practically Blogged About All Your Clothes! Yeah! True story. You all have seen all the clothes in my wardrobe so far. I don't think there is anything in there that has not been showcased here yet. Well, just maybe. 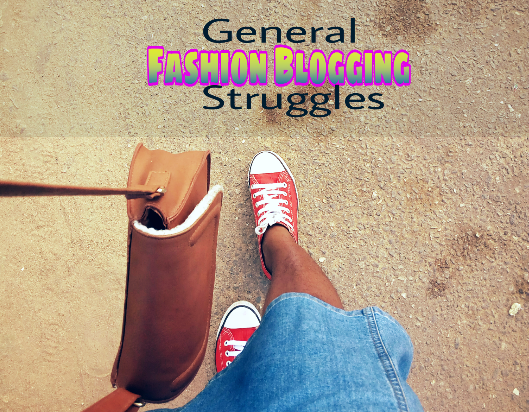 Today I want to share with you what fashion bloggers generally go through during their blogging journey. My intention is not to turn this blog into a fashion blog but to simply share my interests (tips and tricks) in fashion with you like how to repeat your clothes once every week. I have taken photos of me almost everyday with or without a point and shoot! What keeps me going is the fact that I enjoy documenting my outfits and noticing how my personal style statement evolves. But sometime ago I realized a certain struggle when I ran away from the camera at an event. I asked myself, why? I figured it was because I didn't want to have another picture in that top. My awkwardly self-conscious mind thought if I did, it'd end up on the blog again. Lol. I may have practically blogged about all the clothes I've got so far because it's been a while I shopped since I decided to embark on a style challenge almost every week. 1. Who is the Photographer? If you are a blogger who blogs categories on Outfit Of The day or What I Wore, your daily struggle may include "Who will take my pictures now?" If you have no official photographer, then you have to go on an ultimate search. It is not funny when you only have strangers around you. Anybody who is near me automatically becomes my photographer, just hoping for their approval and patience. Lies. Two to five pictures are still not enough. After "one last one" comes another "one last one" then another and another and another . . . and another. Lol. That’s why patience is really a virtue . . . for the one who’ll take the pictures. The last one is the last one only when I am tired, or battery dies. Yes, you can even feel people staring at you with beady, judgemental eyes! Not everyone will understand what you’re doing, especially in public places like the filling station, so you've got to be ready for their stares and how they make faces. Well, that can stop being a struggle when you realize nobody owes you anything. You would be able to walk on the street like you rule the world. Or, don't you? I'm not sure this is common, but no matter how hard I try, my wardrobe will never not be messy. It's just the way it is—no explanations needed. It rained while I was in church today. How sad. The rainy days can be a struggle. You've dressed up, your makeup is on fleek (for those who wear makeup) and then it starts raining. You wait it out a couple of hours but it's still raining. What a waste of outfit. Blogging is not as easy as it looks. I appreciate bloggers because I know their struggles. Well-done people! One thing is, with all the challenges fashion blogging comes with, if you love what you do you will always find a way to deal with the shortcomings. 2 years after introducing STYLE category, I am still here. Yay. What are some of the things you struggle with as a (fashion) blogger? Do you read fashion blogs - mention any three you know and what you love about them. P.s I am no fashion blogger but a Life-Style Blogger.